With The New Mutants trailer now online, we’ve got more news for 20th Century Fox‘s Marvel movies, as filming for Fox releases Deadpool 2 and X-Men: Dark Phoenix wrapped on Saturday. 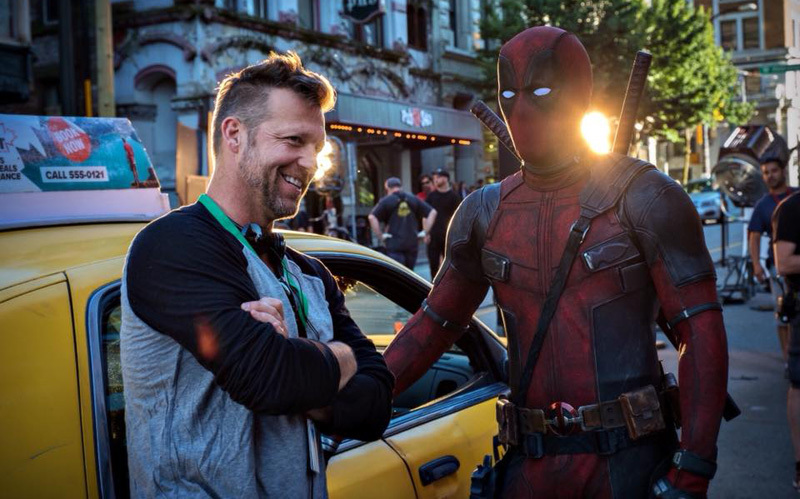 Ryan Reynolds took to Facebook and made the Deadpool 2 announcement, along with photos that you can view in the gallery below. Ryan Reynolds is reprising his role as the Merc with a Mouth alongside Zazie Beetz as the luck-manipulating mutant Domino and Josh Brolin as Cable, the time-traveling son of the X-Men’s Cyclops. Jack Kesy (The Strain, Baywatch) is attached to play the film’s central villain, which, while unconfirmed, is rumored to be Irish mutant Black Tom Cassidy. Japanese actress Shioli Kutsuna and Julian Dennison (Hunt for the Wilderpeople) have also joined the film in mystery roles. Other stars returning from the first Deadpool include Leslie Uggams as Blind Al, Morena Baccarin as Vanessa, Brianna Hildebrand as Negasonic Teenage Warhead, and Stefan Kapicic as the voice of Colossus. X-Men: Dark Phoenix writer, director and producer Simon Kinberg also posted to Instagram that filming completed today. X-Men: Dark Phoenix will bring back the cast of X-Men: Apocalypse, including James McAvoy (Professor X), Michael Fassbender (Magneto), Jennifer Lawrence (Mystique), Nicholas Hoult (Beast), Alexandra Shipp (Storm), Tye Sheridan (Cyclops), and Kodi Smit-McPhee (Nightcrawler). Jessica Chastain will play the villain of the film, while Sophie Turner will reprise her role as Jean Grey in the film, the host of the Phoenix Force. Lamar Johnson of The Next Step has joined the cast in a mystery role and Evan Peters is also set to return as Quicksilver, plus the mutant Dazzler will play a part in the film. 2018 is set to be a banner year for the X-Universe as Josh Boone‘s The New Mutants opens on April 13, 2018, Deadpool 2 hits theaters on June 1, 2018, and X-Men: Dark Phoenix is scheduled for November 2, 2018.